Simple and warm appearing rooms equipped with modern amenities for a stress-free experience. 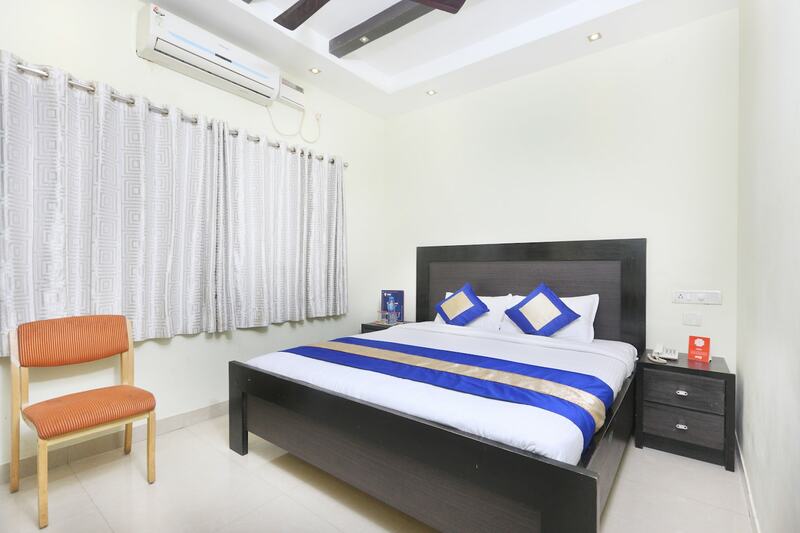 The Chennai Residency hotel offers a gratifying stay at pocket-friendly prices. The rooms are commodious and have a relaxing environment. The large curtains make the room look chic and elegant. The rooms are well-lit and the windows allow the golden sun rays inside. The painting adds colour to the room and also makes the space look lively. The residents are provided with parking and laundry facilities. Elevators and card payment options are available for the convenience of the guests. CCTV cameras are present around the campus to make it safe and secure for the residents.